Yes, Halloween season can be a time to get fit with Arizona's Zombie 5K Runs. Don't worry about not making it to the finish line because you'll soon realize you have no choice but to finish with the horrifying zombies chasing after you. 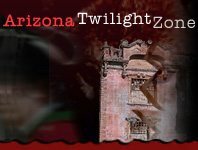 Take part this Halloween season in one of Arizona's zombie runs for a fun, fitness-friendly time!